THREE homes in North End were discovered to be unauthorised houses in multiple occupation (HMOs) after residents protested against more shared homes on their road. Neighbours living on Wadham Road last month petitioned against two family homes becoming shared properties amid fears about parking and informed the council that there were already several HMOs on their street. 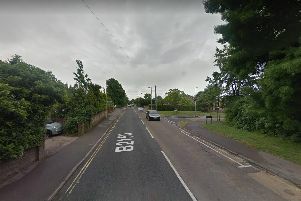 Following these claims a decision on number 69 Wadham Road was postponed in order to assess the area, although the application for 37 Wadham Road was approved. During this time 58 Gladys Avenue, 60 Gladys Avenue and 75 Wadham Road were confirmed by site visits as HMOs, despite not being licensed. Planning enforcement at the council are currently investigating these properties. Under Portsmouth City Council policy no more than 10 per cent of houses within a 50-metre radius can be HMOs. Only six per cent of homes around 69 Wadham Road were revealed to be HMOs and therefore planning permission to convert it into a five-bed shared property was granted with a majority vote at last week’s planning committee. However, some felt the 50-metre ruling was not appropriate. Speaking at the meeting, Cllr Ken Ellcome said: 'The number of years I've been on this committee I have always had an issue with the 50 metre radius. Here we're only looking at half the street. There could be a lot more down the road. None of the residents of Wadham Road attended the meeting to make deputations. But speaking previously to The News, Ben George, 43, said: 'It will put extreme pressure on services and amenities. The water pressure down this road is already awful. 'There is already not enough parking. We have to park near Mayfield School which is a couple of streets over. Rachel Lowe, 40, from Copnor started the petition on behalf of her mum who lives next door to one of the proposed HMOs. 'Initially residents were not made fully aware this was going on,' she added. Recently the council has vowed to crack down on HMOs in the city and developers are no longer able to build three or more HMOs in a row or build HMOs either side of residential homes. There is also an online register of HMOs on the council website so residents can check if shared homes on their street are properly licensed.